September 26, 2018 at 12:00a.m. A trip to Portland, Ore., inspired Celina Wolfe and Travis Romine to do something different here in the Mahoning Valley. 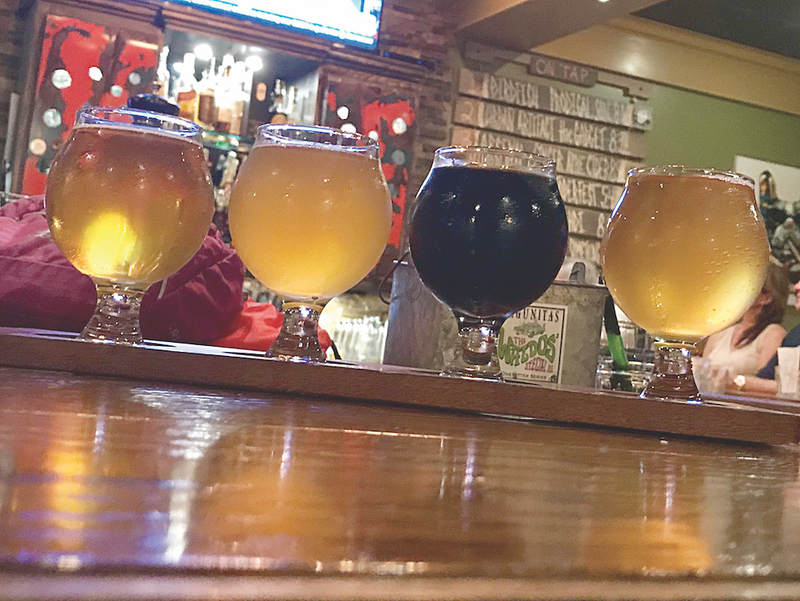 Combining ideas from that trip with experiences working at Boardman’s Blue Wolf Tavern and Canfield’s The Phoenix, the partners opened The Village Pump at 5231 Canfield-Niles Road in Canfield in February 2016. General manager/bartender Wolfe said executive chef Romine loves crafting unique dishes. A passion for craft beer came right along with a love of cooking. When: Mon.-Thurs. : 3 to 10 p.m.; Fri. & Sat. : 3 to 11 p.m. The Village Pump supports Ohio craft beer, especially local brewers. Wolfe loves that local brewers support one another. Wolfe said Ohio has many great breweries. Cavalier Distributing and Premium Beverage Supply recommend many of those must-haves. Wolfe said staff members have many conversations about beer. The Village Pump team goes the extra mile to truly understand all beers on tap. The team tastes every new beer. But if it’s not craft, it’s not on tap at The Village Pump. For those customers looking for domestic beers, The Village Pump always has a lighter craft beer on tap. Wolfe said more often than not, customers are willing to try the craft beer. Recommended Flight Pattern: Head to The Village Pump to get a taste of the passion Celina and Travis put into everything they do. February 25, 2017 9:08 p.m.